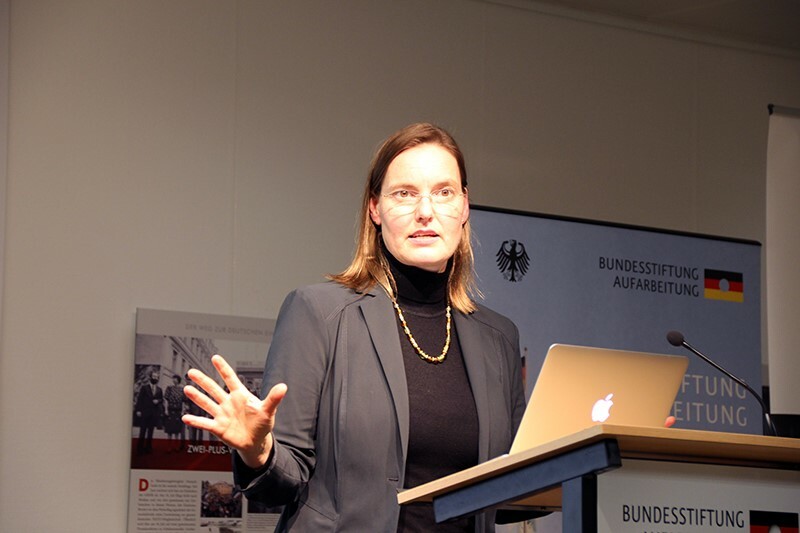 The Center on Governance through Human Rights of the HUMBOLDT-VIADRINA Governance Platform in Berlin provides advice on governance and human rights issues. 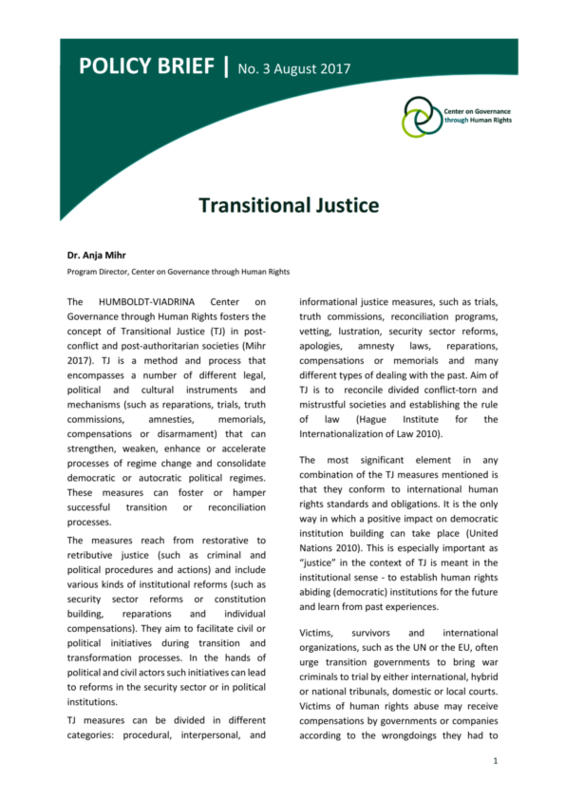 Transitional justice in transformation societies, climate justice and cyber justice are the main areas in which the center has many years of expertise. The center follows a transdisciplinary and multi-actor approach, advises ministries and foundations, and organizes and moderates events between the economy, politics, science and civil society. Combining human rights and governance. 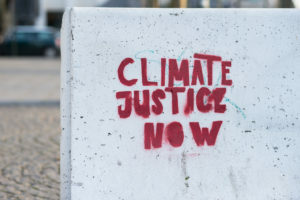 The Center’s unique value proposition is that the underlying principle for all its work – be it advisory, research or training – is the strong connection between human rights and governance. Through a unique combination of inter- and transdisciplinary policies, relevant research and capacity building, it differs clearly from existing Centers. The Center’s fellows will work on current political issues of governance and challenges to find solutions on how to govern in and through human rights in any specific area. Worldwide, not regional. The operations of the Center are not limited to a regional level, but include worldwide action: wherever there is the need for better governance in and through human rights, the request will be answered through action. 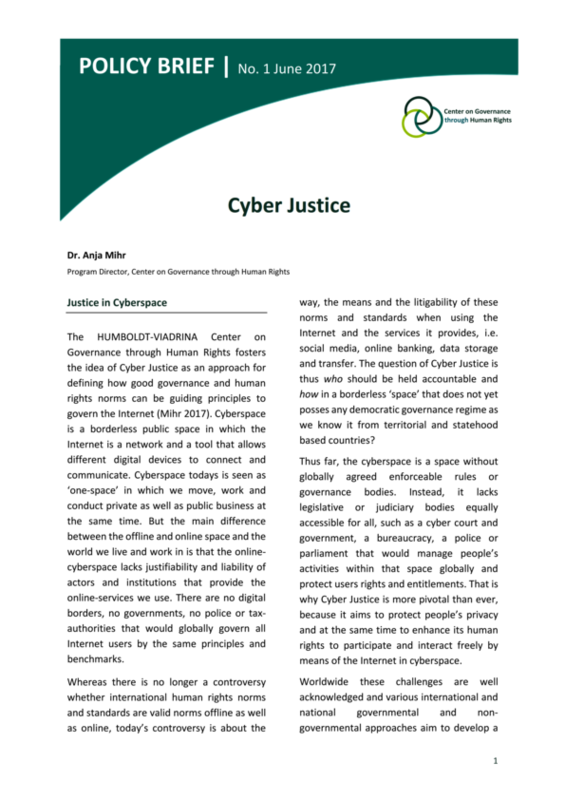 The scope of its action is not limited – it can be a multi-national company in Germany, an EU institution in Brussels, the UN Internet Governance Forum or a civil society organization in Bangladesh. Human rights are increasingly making headlines. But their day-to-day implementation falls far behind the possibilities. Be it uncontrolled violence, abuse and trafficking of women, ethnic cleansing, cyber crime, climate change, exploitation of immigrants or the oppression of civil society – the wave of human rights violations have sparked a fresh debate on the issues of human rights and good governance. The aim of the Center therefore is to investigate how human rights can be applied and adhered to better and more effectively in the future in politics, economics, education or daily dealings with one another. Better Governance in public and private institutions can only be achieved if good governance and human rights are anchored in the decision processes according to international human rights and are applied complementarily. 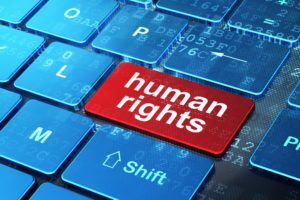 However, in times of globalization, digitalization and transcending borders nation states can no longer be the sole guarantor of human rights. 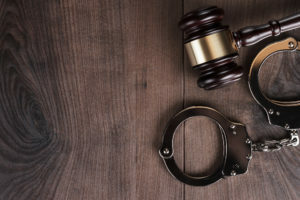 Businesses, civil society, international organization and transnational networks carry the same responsibility for the adherence to human rights and their advancement as national institutions do. This development has led to the necessity of monitoring and analyzing the level of human rights and governance prevailing on the local, regional, national and global level. Only with this can the human rights standards and governance standards be made visible and the adherence to human rights be secured. Around the world, several economic and political institutions and organizations as well as research centers dedicate themselves to measuring, monitoring and analyzing the quality of governance of actors and institutions. They monitor, measure and analyze both the quality of the governance of the respective actors and institutions, as well as the work of governments in the area of ​​governance. The Center offers training, training and practical support in the areas of governance and human rights. The center also includes an international research network that conducts reliable and application-oriented studies. Studies and policy briefs. The studies and research focuses on the mutual relationship between governance and human rights. This brings together views from different disciplines such as social sciences, law, economics or philosophy as well as from the private, civic and public sector. By using this approach, the center’s studies always include transdisciplinary knowledge and draw on the experience of science and professionals. Advisory function. The Center takes on an advisory function for national governments, organized civil society organizations as well as companies. The Center combines policy consultants, researchers and experts with years of experience in their respective fields, i.e. campaigning, advocacy, research in the field of governance and human rights. Trainings. The trainings offered by the Center combine good governance and human rights principles to advance and strengthen sustainable decision and policy making processes in societies. These training and education offerings will focus on students, diplomats, NGOs, policy makers and business. The capacity building programs are based on best practice examples and are especially important in regions dealing with social transformation. Governance and Human Right Lecture series. The Center invites guest speakers on a regular basis to elaborate on the inter-linkage between governance and human rights from their professional background experience. Speakers will come from companies, governments, NGOs or international organizations and private initiatives. Collaboration with other institutions, centers, universities or think tanks are anticipated. Aktuell sind keine kommenden Termine hinterlegt.